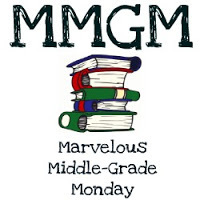 Corrina Allen, fifth grade teacher and mom, takes a look at MG trends and what’s ahead for 2019. A great article to wet your appetite for what to read. There is also a podcast if you prefer to hear Corrina’s insights. Harry Potter fans will enjoy this post: 20 little-known facts about the ‘Harry Potter’ series. I was surprised with quite a few. Kids’ book authors are asked what it takes to work in the field today. The result is 11 Secrets of Children’s Book Authors. That’s all for now. I’ll be back Friday with a review of LOST IN ANTARCTIC! This entry was posted in Middle Grade News and tagged Middle grade. Bookmark the permalink. Thanks, Greg. I really enjoyed the first and third articles. I’m not a Harry Potter fan. Enjoyed all the posts that you shared. Am not surprised with the books that may trend in 2019 — couldn’t be happier. Also enjoyed reading the information about JK Rowling.